Triphenyl Phosphate TPP manufacturer price - ZhangJia Gang YaRui Chemical Co., Ltd.
Triphenyl Phosphate tpp has good transparency, flexibility and antimicrobial resistance, with water, oil, electrical insulation and compatibility advantages. Mainly for the cellulose resin, a vinyl resin, natural rubber and synthetic rubber flame retardant plasticizers may also be used for acetate and glycerol triacetate film thin , rigid polyurethane foam , phenolic resin, and engineering plastics such as resistance PPO burning plasticized . 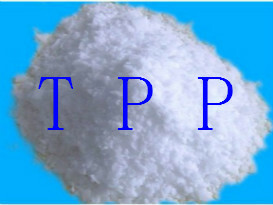 Triphenyl Phosphate tpp manufacturer prices mainly in Jiangsu . Triphenyl Phosphate tpp Packing: NW 25KG / composite paper ( lined with black plastic bags ) , a small cabinet loaded 12.5 tons . Export rights: the right to import and export company . The above is a description of the product , such as manufacturer price Triphenyl Phosphate tpp need further information, please contact the Zhangjiagang Chemical Co. Yarui . If Triphenyl Phosphate TPP manufacturer price product is not what you want, we can be customized according to your needs, please send us your order to Email: sales@yaruichem.com , or click here to post your buying lead.